2018 Festival visitors once again enjoyed the vibrant, annual gathering of authors, artists, associations & collectors affiliated with Route 66. 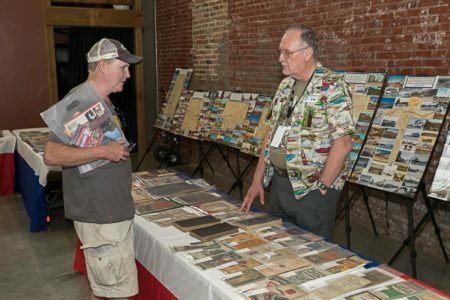 Offering creative displays of memorabilia, information about their products and services and items for sale, there were items of interest for a wide range of people. Route 66 historian Jim Ross is the author or co-author of twelve books, including "Route 66 Sightings," "Secret Route 66," and "Route 66 Crossings." He is also co-creator of the best-selling "Route 66 Map Series." Photographer Shellee Graham is the author of "Tales from the Coral Court" and co-author of "Route 66 Sightings" and "Secret Route 66." Her photographs have appeared in regional, national and international shows. Susan Croce Kelly grew up in the St. Louis area, worked as a newspaper reporter in St. Louis and Springfield, Missouri, and raised her children in Chicago – all three important Route 66 cities. What she learned over the course of her life became the beginning for two prize-winning books about the highway’s history: "Route 66: The Highway and Its People," and "Father of Route 66, the story of Cy Avery." Kelly has also written dozens of historical articles in the general press about Route 66, and is a popular speaker on the subject. Cheryl Eichar Jett is the author of six books and numerous articles about Route 66, and is a regular contributor to several regional publications, including "Show Me Route 66," the quarterly publication of the Route 66 Association of Missouri. She is currently working on a book about women's contributions to historic Route 66. Her one-act play based on her book research will premiere October 27 at Blackburn College in Carlinville, Illinois, as part of the 4th annual Miles of Possibility Route 66 Conference. Her website/blog is at www.route66chick.com. Cheryl is also an award-winning writer of short fiction and holds a graduate degree in history from Southern Illinois University Edwardsville. She serves on the board of directors of Illinois Route 66 Scenic Byway, on the advisory council of the Center for Spirituality and Sustainability at SIUE, and as President of the (Illinois Route 66) Blue Carpet Corridor Coalition. In 2000, she was one of the founding board members of the Illinois Chapter of the Trail of Tears Association. 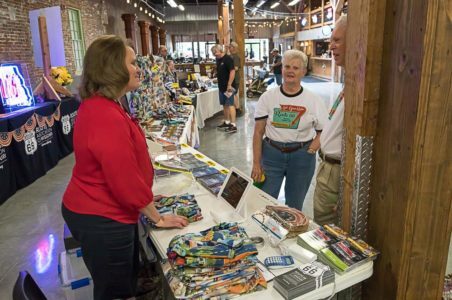 In 2015, she established the annual Miles of Possibility Route 66 Conference in Edwardsville, which travels to a different Illinois Route 66 city each year in October. Tom Peters serves as the Dean of Library Services at Missouri State University in Springfield. He was born and raised in Fort Dodge, Iowa. His undergraduate degree (Philosophy and English) is from Grinnell College, and his two master’s degrees are from the University of Iowa (Library Science) and the University of Missouri-Kansas City (English). For almost three decades, he has worked as an academic librarian in Missouri, Illinois, and Minnesota. Since 2012, he has lived in and loved the Missouri Ozarks. In 2016 Peters released “John T. Woodruff of Springfield, Missouri, in the Ozarks: An Encyclopedic Biography.” The volume documents Woodruff's many achievements, amazing both for their breadth and impact. Born into poverty in the rural Missouri Ozarks shortly after the end of the Civil War, John T. Woodruff (1868-1949) became the greatest promoter of civic and regional development in the history of Springfield, Missouri. Schools, colleges, hospitals, hotels, and resorts all owed their existence and location to Woodruff’s clear vision and indefatigable efforts. The Woodruff Building and the Kentwood Arms Hotel are two of his outstanding architectural achievements. Woodruff brought the Frisco West Maintenance and Repair Shops to Springfield, and he helped found and build the entire town of Camdenton near the Lake of the Ozarks. For decades Woodruff promoted and built good roads in the Missouri Ozarks, and served two terms as the first president of the U.S. 66 Highway Association. Wickline, a Route 66 author and historian has self-published his two-volume, “Images of 66” photo books and his new, “Riding Route 66” self-guided, two-week tour book for motorcycles or automobiles traveling Route 66. David plans to resurrect the “66 Courts Motel and Magnolia Station” as a museum and gift shop in Arizona on Route 66, and is currently displaying his 1:43 scale model of the now obliterated art-deco buildings, inside of The Old Glass Place. Learn more at: roadhouse66.com/index1.htm or “66 Courts” on Facebook. Joe Sonderman is a Route 66 historian, collector, and author with more than a dozen books to his credit, most of them on Route 66 history. 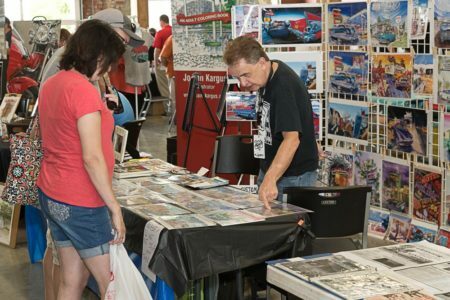 He is also editor of the Route 66 Association of Missouri's quarterly magazine, "Show Me Route 66," for which he writes many articles, and is also a regular contributor to the international publication, "Route 66" magazine. Joe is an avid collector of Route 66 postcards and photos, with thousands of his images available to view on his website www.66postcards.com. Joe is a long time St. Louis radio traffic reporter and personality who also spent years in traffic management for the Missouri Department of Transportation. His newest book is "Route 66: Then and Now." Bob “Crocodile” Lile and Cheryl O'Quinn have been traveling and promoting Historic Route 66 for twenty years. "Croc" owns and operates Lile Art Gallery on Route 66 in Amarillo, Texas, where he creates one of a kind mosaic images and jewelry made with paint chips from the cars at world famous Cadillac Ranch. He is also a Route 66 Tour Guide for Gilligans Route 66 Tours out of New Zealand. Judy Walker has been a Route 66 roadie for several years and loves to bring Route 66 to people through her photography. Judy aspires to excite others about Route 66 in hopes they will travel the route too! Please visit Judy at her booth at the festival-she'd love to meet you and share Route 66 stories. Judy's RJ's Route 66 is a local business with an online store. Walker's unique, distinctive shirts and metal signs are made from photos taken by her on Route 66! One of the specialty items RJ's Route 66 sells is Route 66 wine corks, also made in the USA. All items carried by RJ's Route 66 are proudly made in the USA! Noted Route 66 author, artist and historian, Jerry McClanahan has been mapping Route 66 since his family vacations during the 1960s, when he sat in the back seat of the family Ford, trying to draw his own crude map of the road. Born in Oklahoma in 1957, Jerry's family moved out to sunny Southern California in 1959 (sadly, they did NOT take Route 66). Then there followed a decade of wonderful journeys down the Mother Road, from California thru Oklahoma City. These back seat travels left an indelible mark on him, one that eventually came to color the whole fabric of his creativity. Jerry rediscovered Route 66 in 1981, when he and his father made a trip out west, stopping at everything this time. Since then, every year has found Jerry making numerous expeditions along the route, mapping, photographing and collecting information. In the early 1990s, Jerry began painting and writing about the Mother Road full time, enjoying a long stint as staff artist and a staff writer for Route 66 Magazine before moving on to write for the Federation News and American Road (where he is a department editor). In 1994, he collaborated with OK 66 expert Jim Ross on the best-selling Route 66 Map Series (which features his unofficial Route 66 mascot, Rootie), as well as the acclaimed Bones of the Old Road video (with Kathy Anderson). Jerry s photographs have appeared in numerous books and periodicals, while his paintings of old cars on Route 66 hang in private collections across the country and overseas. In 2008, Jerry moved to Chandler, Oklahoma, where he welcomes visitors to his art gallery, just a stone's throw off Route 66. 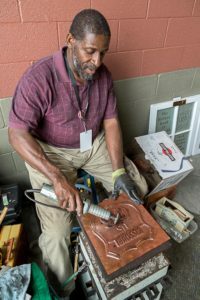 Jim Carr is a metal artist who designs and creates one of a kind, copper, brass, aluminum, and steel pieces of handcrafted, functional art with emphasis on Route 66 items. All of Carr’s copper work is custom hammered, raised, and chased by hand, resulting in a one of a kind, quality piece of art that will last for generations. Jim sees his work being equally at home as beautiful, functional pieces or as sculptures to be viewed. From crayon on walls to paint on canvas, Cheryl Church has a rich history in art. She has experience working in oils, watercolor, pastels, acrylics, clay, and graphite, as well as her favored medium, colored pencil. Church enjoys painting cars, still portraits, historical people and colorable images. “I love history, researching and I love to draw and of course adding all of the colors that reflected what I see, I have never been as inspired as I have with Route 66 it is as if I am telling a story through my art,” says Church. 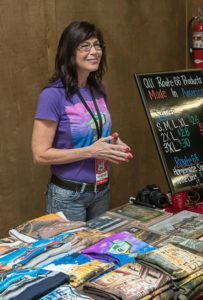 Church has won many awards, exhibited in many galleries and has illustrated a medical book, novel cover, children’s books as well as created her own series of Adult Coloring books that are available on Amazon, Barnes and Noble and several shops along Route 66. For more information about Cheryl Church and her artwork, please contact her through email at SavingChurch@gmail.com. Rhys Martin is a photographer and writer from Tulsa, Oklahoma. His love of travel started in 2009 when he sold everything he owned and left the country, living out of a backpack for ten months. When he returned home, he turned his attention to Historic Route 66 and has been on the Mother Road ever sense. He has traveled all 2,400 miles of Route 66, from Chicago to Los Angeles. He also loves to explore his home state and the Midwest. Rhys has been featured in several publications including Tulsa People Magazine, This Land Press, Route 66 Magazine, The Oklahoman, and the Tulsa World. He loves to connect with people and share in their experiences. If you know of a cool old bridge or out-of-the-way diner, stop by and strike up a conversation! Dean Kennedy has been driving Route 66 consistently since 2009 and travelled it as a child during family vacations from Indiana to Albuquerque, New Mexico. Dean designed Route 66 Wine Corks and had a friend make them for him to sell along Route 66 to iconic locations and at festivals. 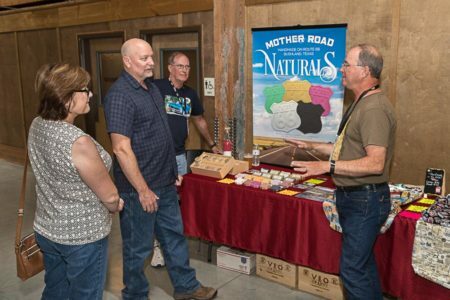 He began selling Mother Road Natural soap last year, made by his friends, Gary & Stephanie Daggett. Dean said, “I love to travel the road, meet the people, and work the booths at the festivals with my friend and partner, Judy Walker of RJ’s Route 66. Collegiate Awards is a locally-owned company that specializes in custom awards and gifts. They also hold an official winery designation in the state of Missouri, and are proud to offer Route 66 Red. Each bottle is engraved and hand-painted in Springfield, Mo, in a historic facility that is located on the original MO US 66. I started in road map distribution in 1981, working for Rand McNally. In 1991, I started my own Distributing Company, publishing maps. We have published the Zak’s Route 66 map for 18 years for Route 66 travelers. We have added many new products to our Distributing Company. We offer direct store delivery, wholesale and website sales, specializing in new Route 66 and gas memorabilia. We also do direct facility delivery of “The Route” magazine every other month within the Route 66 eight state corridor. We are committed to help preserve and grow travel on the ever famous “Mother Road”, Route 66. Nick Gerlich is the Hickman Professor of Marketing at West Texas A&M University, where he has taught since 1989. He has been an active Route 66 researcher, explorer, and photographer for many years, specializing in historic abandoned structures and neon signs. Gerlich wrote and appeared onscreen as host of the highly acclaimed Unoccupied Route 66 video series. He lives in Canyon TX with his wife, Deanna, and daughters, Becca and Bailee. See our Route 66 Tile Mosaic and investigate how you can own it! The Child Advocacy Center (CAC) puts the needs of the child first during abuse investigations. They are located in an inviting, older home on historic Walnut Street in Springfield, MO. The CAC is a warm, welcoming, child-friendly place where comprehensive, age-appropriate services (interviews and exams) are provided by highly-trained staff. Behind the scenes, a team of investigators receive and evaluate the evidence of abuse, and collaboratively make decisions in the best interest of the child. A satellite office in West Plains, MO enables them to serve children in 16 counties in southwest and south central Missouri. Mike and Sharon Ward both grew up in Southern Illinois in the towns of Marion and Energy. They never met until after Mike left to join the Air Force in 1966. They married in 1969 and spent the next 20 years traveling and going to where the Air Force said to go, and sometimes travel took them down Route 66. Retirement from the Air Force in 1989 and settling down in Mesa, Arizona meant a change in jobs but it didn’t change their interest in travel. 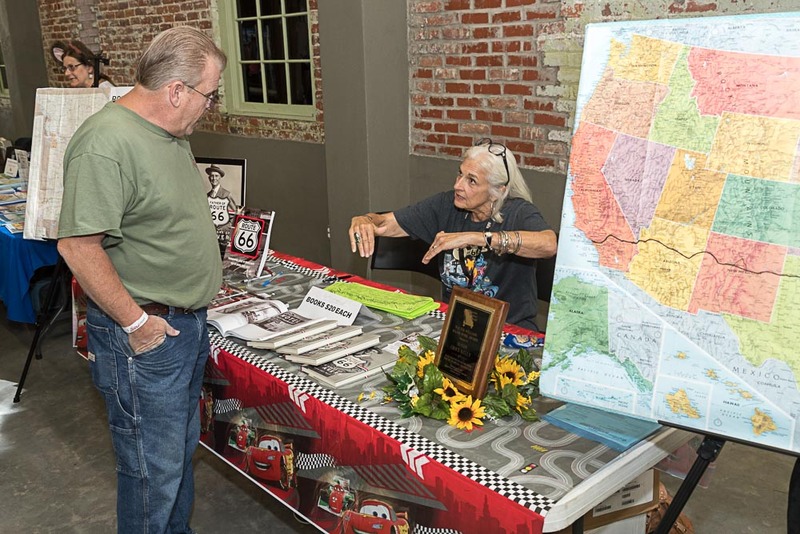 They reconnected with Route 66 in the early 1990s and for the past 20+ years have traveled and supported Route 66 in many ways. 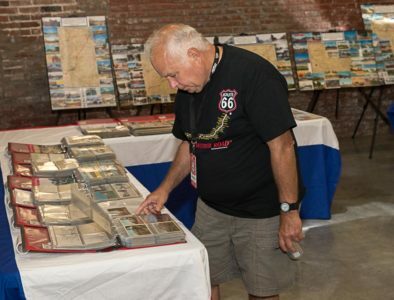 Mike has collected old road maps most of his life and added a Route 66 postcard collecting hobby about 15 years ago. Those two hobbies have been combined into an interesting and visual display which has been shown at many Route 66 festivals and gatherings. They both enjoy talking to others about Route 66 and sharing their passion for the road. Steve Rider, a retired teacher from Albany, NY, has been cruising Route 66 and collecting memorabilia since the mid-1990s. 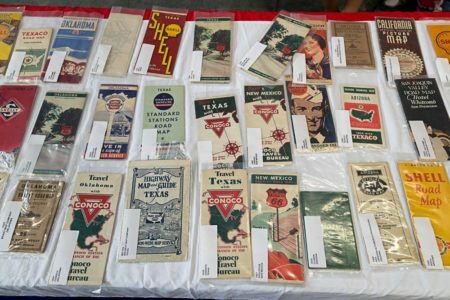 Steve always displays a variety of vintage items that frequently includes road signs, pennants, maps, postcards, brochures, and other unusual items. The Route 66 Association of Missouri is a nonprofit organization established to preserve, promote, and develop Historic Route 66 (The Main Street of America) in the "Show-Me" State. Originating from the efforts of dedicated volunteers who realized Historic 66 in Missouri deserved recognition and preservation, the Association became a reality in early 1990 when it began officially with more charter members than any other state Route 66 Association. Today, Association members number 1,100 and reside in over 40 states plus internationally. After several years of work by very dedicated Association members in partnership with the Missouri Department of Transportation, and after many public meetings in communities along Route 66, the Missouri Highways and Transportation Commission voted on Nov. 9, 2005, to designate Missouri Historic Route 66 as a Missouri State Byway. The Byway dedication took place May 5, 2006. Promoting, preserving and protecting the 13.2 miles of Route 66 in Kansas. 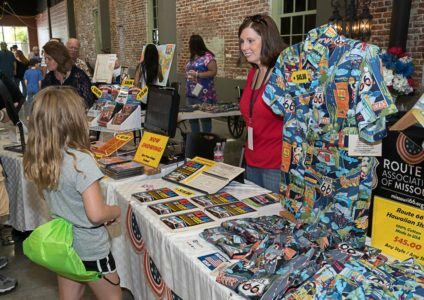 The Oklahoma Route 66 Association is a not-for-profit organization made up of volunteers who are dedicated to the promotion and preservation of Route 66. The Association serves as the non-governmental body that coordinates the statewide economic development, enhancement, improvement, preservation, and recognition of U.S. Route 66 in Oklahoma. In keeping with our mandate, we generate whatever finances and pressures we can to save Route 66 landmarks from decay or destruction. The Duane G. Meyer Library is Missouri State University's main library. 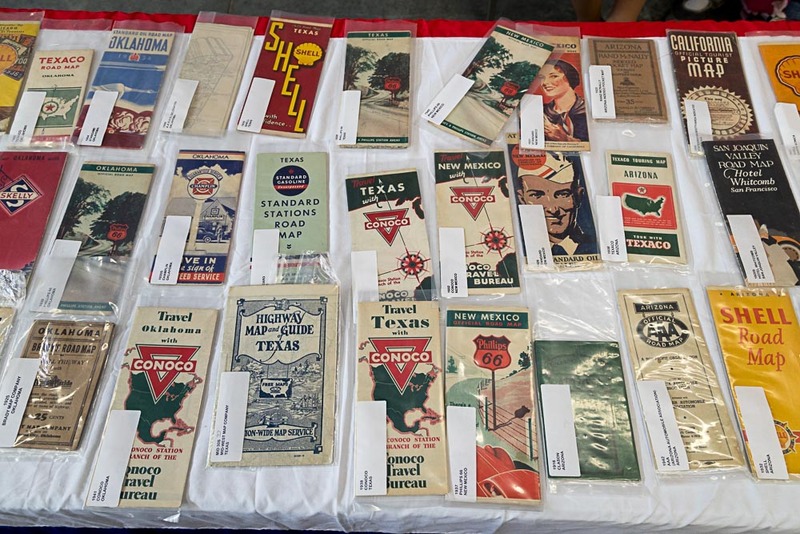 The library is home to the Route 66 Oral History Collection and archives. This digital collection includes a selection of oral histories collected by the Route 66 Association of Missouri and the Meyer Library on the history of U.S. Route 66, including businesses, economic changes, personalities and noteworthy experiences. Various initiatives of the MSU Libraries related to Route 66 will be displayed, including the various oral history projects. Knowledgeable personnel, with the Pulaski County Tourism Bureau and Visitors Center, will help you find all the information you need to plan your vacation, here in the heart of the Ozarks. 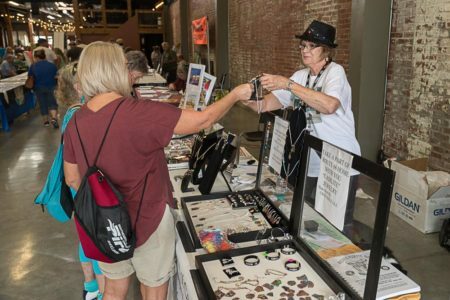 Enjoy Pulaski’s 33 miles of Route 66 with 66+ stops, float and fish along our scenic riverways, explore museums or enjoy a day at indoor shooting ranges, escape rooms or at one of the local festivals. For more information visit PulaskiCountyUSA.com. 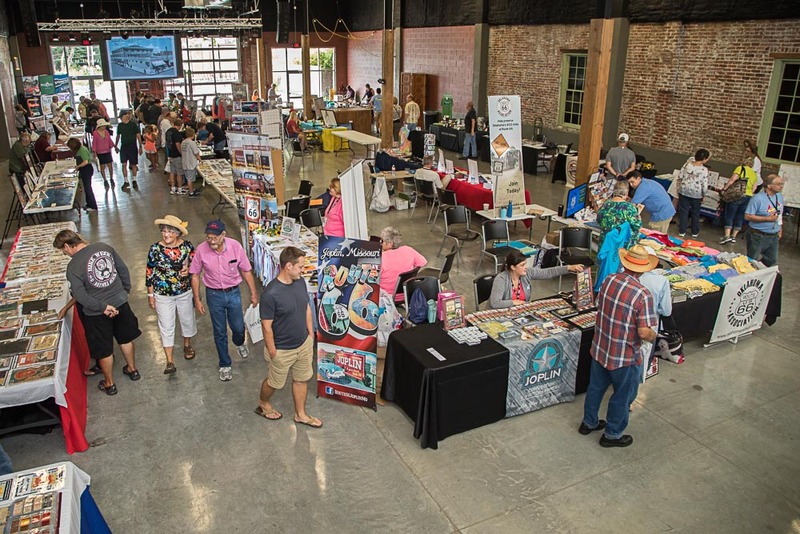 Pulaski County Tourism Bureau & Visitors Center is organized for the sole purpose of promotion of tourism and the comprehensive marketing of our destination. Pulaski County Route 66 Preservation is excited about their first project, the Route 66 Neon Park development, an open air museum featuring vintage neon signs. Stop by the Visitors Center or visit route66preservation.org, to learn more. Donations are being accepted and are tax deductible. Being in the heart of the Ozarks means being in the center of activity. You are urged to come on down to Pulaski County, USA, located in America’s Heartland! Where the Mother Road Begins: The most famous road in the world first came into being in 1926 as part of the new numbered highway system, and Chicago is where Route 66 begins. The United States Department of Transportation has designated certain US roads as National Scenic Byways because of their special significance to the American people. Route 66 in Illinois received that recognition in 2005. Our non-profit organization has the responsibility for the Illinois Route 66 Scenic Byway, and it is our mission to "...enhance and promote economic opportunities for each Illinois Route 66 community by preserving Illinois Route 66 Heritage and by sustaining and increasing heritage and cultural tourism." Explore Route 66 one mile at a time. Route 66 defined a remarkable era in our nation's history and lives on today in Illinois Route 66's many roadside attractions, museums, restaurants and the shining ribbon of blacktop we call the Mother Road. Two welcome centers at Conway, Missouri, offer a nice place to take a break from driving Route 66. The centers are located on I-44 at mile marker 111, east and west, between Lebanon and Marshfield. 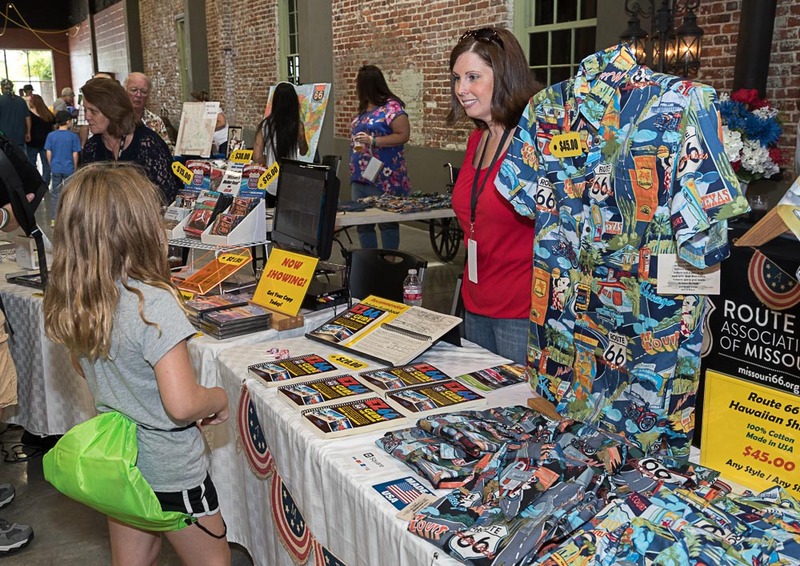 Inside the centers, visitors can enjoy a classic Route 66 motif and access staffers who provide information about Missouri Route 66, the immediate area, the entire Show-Me State and its myriad attractions. The centers offer clean restrooms, vending machines for those who need a quick snack or beverage, travel brochures and maps, playground areas, spacious picnic sites, and areas to walk pets. The Joplin Convention & Visitors Bureau (CVB) is a not for profit organization that serves as the area's destination expert. Joplin is a Route 66 Host Community, and the CVB supports Route 66 with information, events, materials and many complimentary services to roadies as they enjoy traveling the Mother Road through the area. With 37 miles of Route 66 to explore, Laclede County welcomes visitors from all over the world! Tour the free Route 66 Museum and gift shop at the Lebanon-Laclede County Library. See the Gasconade River Bridge at Hazelgreen that is in danger of being torn down. Enjoy a race at the NASCAR-sanctioned I-44 Speedway. Stay at the newly restored Lenz Manor. Photograph the iconic neon sign at the Munger Moss Motel. Taste a fried-bologna sandwich at historic Wrinks Market. Pose your car in front of the Route 66 murals at Boswell Park, site of the Lebanon Route 66 Festival on Father’s Day weekend. Check out Shepherd Hills Factory Outlets. Shopping, dining, lodging, antiquing and more await you in Lebanon, the Heart of Route 66! The National Trust for Historic Preservation is a privately funded nonprofit organization that works to save America’s historic places. This summer, we declared Route 66 a National Treasure and embarked on a month-long road trip to advocate for its designation as a National Historic Trail. 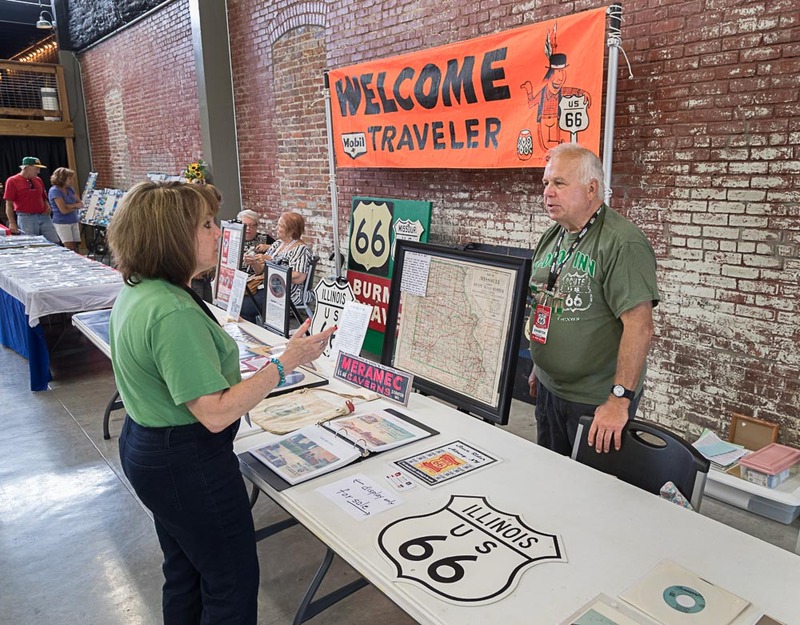 Visit our table to learn about our trip, see our display supporting National Historic Trail designation for Route 66 and to sign our petition. We'd love to have you be a part of this fun event in 2019. You will need a Group Sales Event license from the City of Springfield if you are selling a service, face-painting, or merchandise. The minimum, one-month version is only $5! More information, including additional length terms and pricing, is included on the Group Sales Event application.